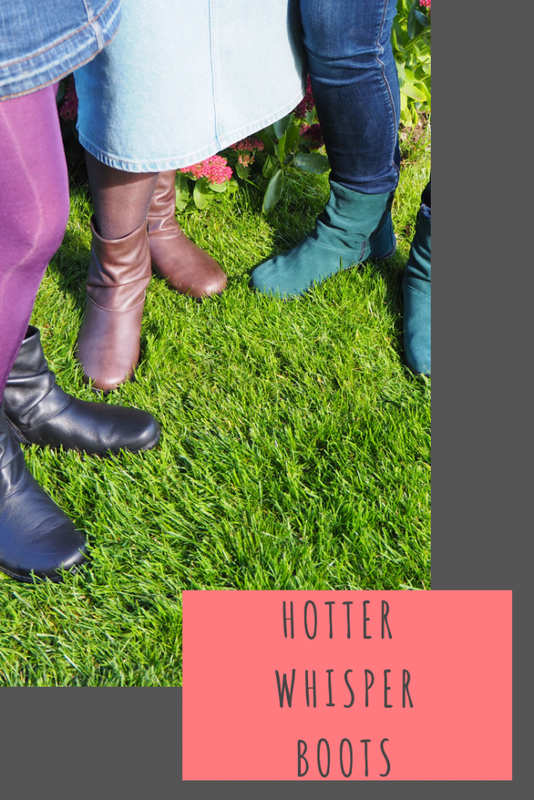 Hotter very generously sent* me 3 pairs of their Hotter Whisper boots to feature. A pair for me, my Mum and my Grandma. Hotter have been designing and making shoes in Lancashire since 1959. They are passionate about crafting shoes that are the epitome of comfort and style. They take inspiration from current fashion trends and incorporate feedback from their customers. They only use premium materials ensuring high quality, comfortable and protective footwear. 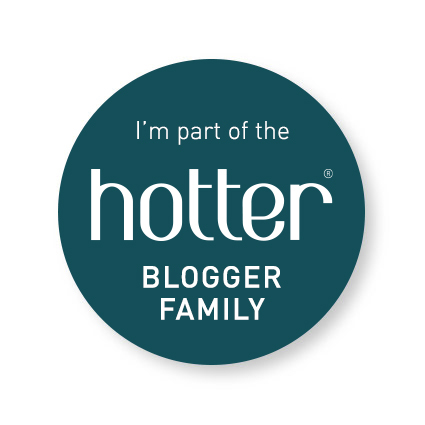 Hotter are that confident in their shoes, that they offer a 100% happy guarantee. If, for whatever reason you are not happy with your shoes, you can return or exchange within 90 days of purchase! We were sent the Whisper boots that are available in 9 colours. I chose deep teal which are suede, my Mum chose black and my Grandma chose mushroom, both of which are leather. The boots are insulating, soft and so so comfortable. They also have a zip fastening on the inside and outside of the boot which I think is a great feature, especially for those that struggle to get their shoes on. They are available in size 3 to 9, including half sizes. My Mum and I are both size 5 and my Grandma is size 4.5 and found that all fit perfectly. The slouchy ankle boot style goes with virtually everything, whether worn with dresses, skirts, jeans, bare legs or tights and are fab for taking you from Autumn through to the end of Spring. 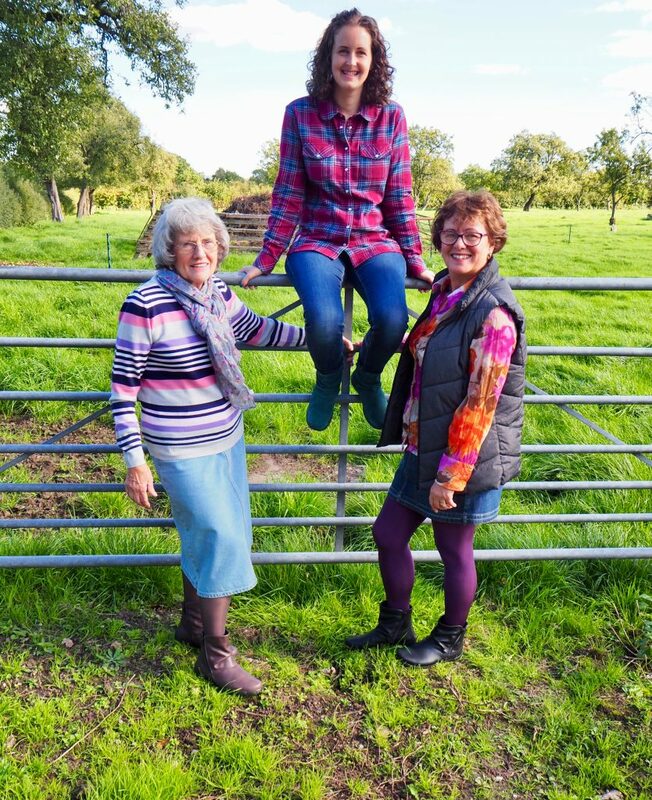 I generally wear mine with skinny jeans and I spotted a teal and burgundy shirt from Brakeburn a couple of weeks ago that co-ordinates with the teal boots really well. 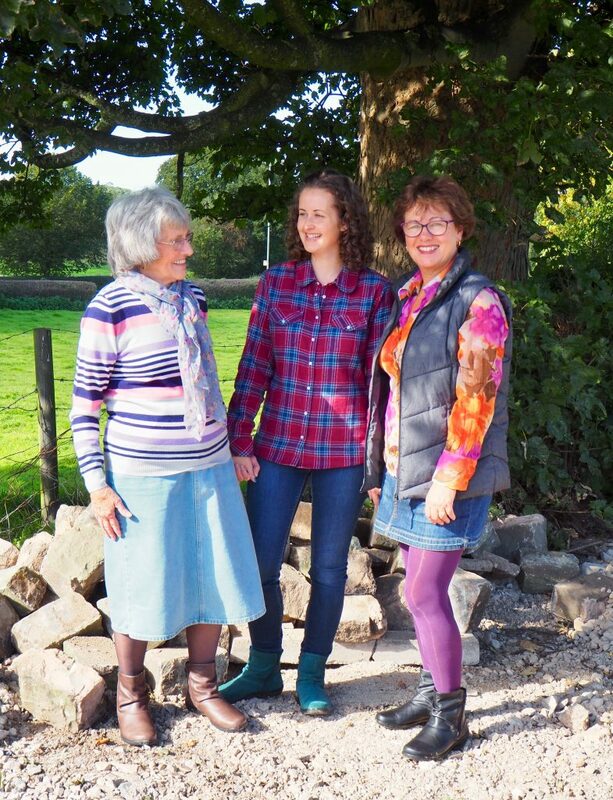 My Mum has been wearing her boots with tights, leggings and straight leg jeans, whilst my Grandma has been wearing as a boot with her skirts and tights or showing as a shoe under her boot cut jeans. How lovely! Really shows that they suit any style of clothing and look amazing! I love the teal colour of your boots. My Nan needs some new boots and has been struggling with single zips so the fact that these have one on each side is fantastic.